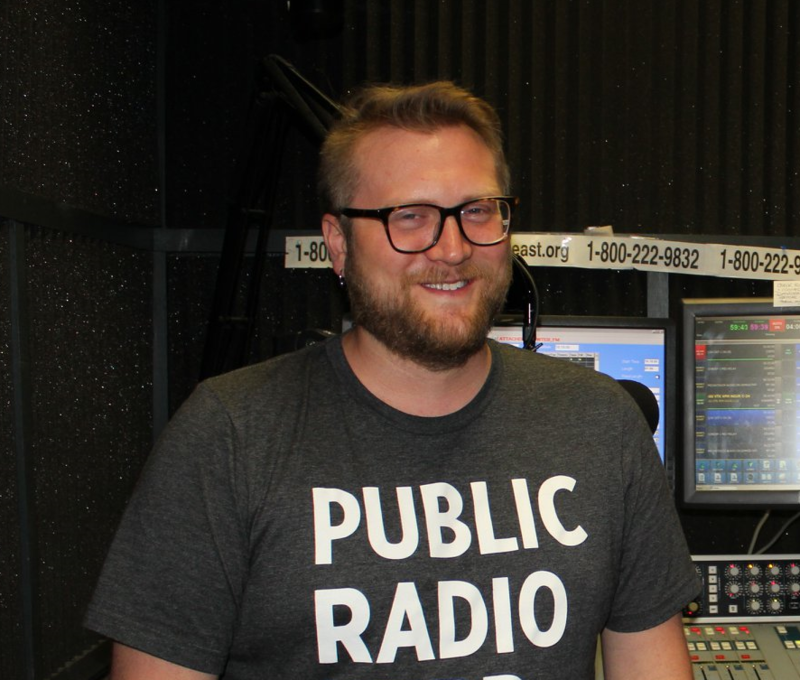 Jared Brumbaugh is the News Coordinator for Public Radio East, covering health and the environment. His news spots and feature stories can be heard during Morning Edition and All Things Considered. Jared is the recipient of five North Carolina Associated Press Awards for "Best Feature," "General News," "Best Health Report," "Best Weather Report," and "Best Consumer Report." When not at the station, he enjoys hiking, traveling and honing his culinary skills. Record rainfall and historic flooding from Hurricane Florence has caused a terrible mosquito problem here in Eastern North Carolina. Last week, Gov. Cooper ordered $4 million dollars to fund mosquito control efforts in 27 counties. 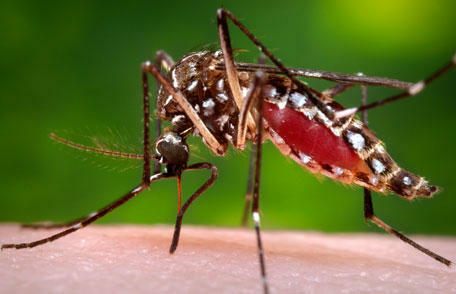 Jared Brumbaugh has more on the multi-layer approach to studying and eradicating mosquitoes. 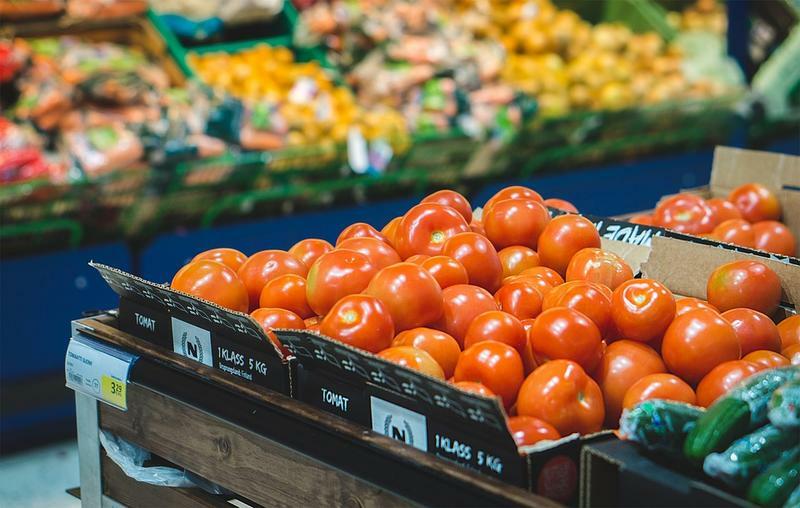 People in areas that were hit hard by Hurricane Florence can apply for help buying food through the state’s Disaster Supplemental Nutrition Assistance Program. Since Thursday, more than 200 individuals who sustained damages during Hurricane Florence have come to disaster recovery center at the former Eckerd Drugstore along Martin Luther King Blvd in New Bern. 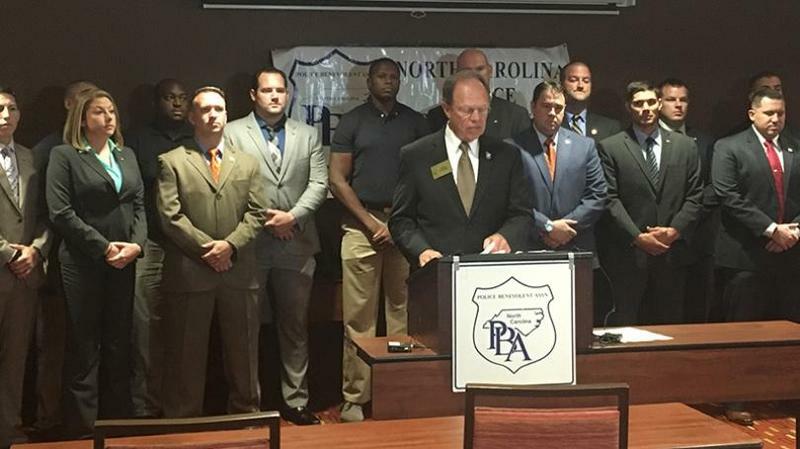 Public Affairs Specialist Karen Knapic said the Small Business Association has provided more than $20 million dollars to North Carolinians for hurricane efforts. 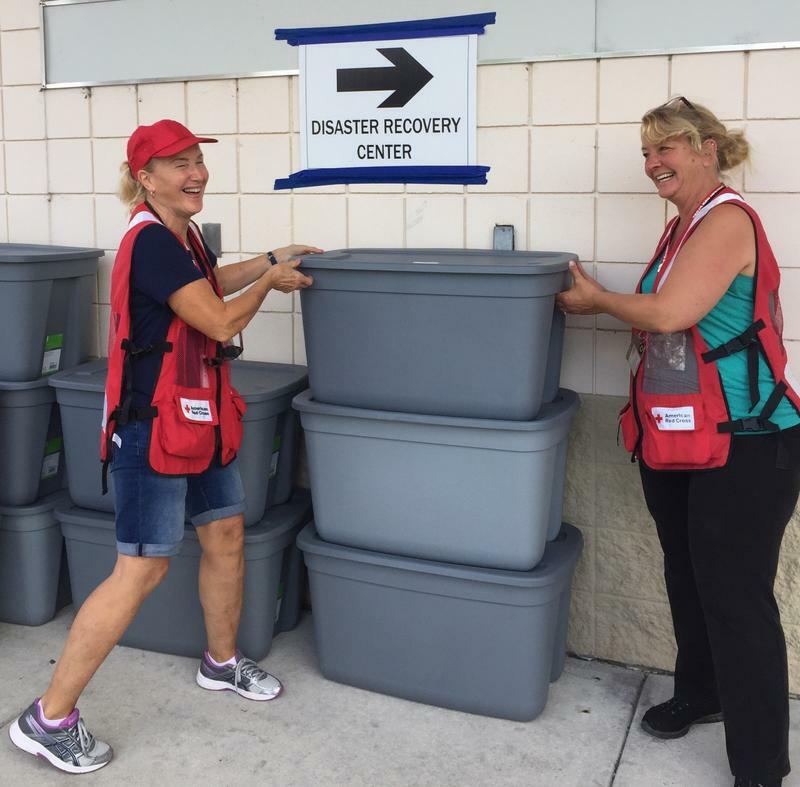 On Friday morning, the American Red Cross was handing out emergency supplies to people at the FEMA disaster recovery center in New Bern. Linda Ehrsam, a relief worker from Kentucky said they’ve given away 120 cleanup kits each day to residents in New Bern and surrounding areas. UPDATE Sept. 28, 2018- State officials say bateria levels at most ocean swimming sites in Carteret, Pender and Onslow counties meet state and Environmental Protection Agency standards for swimming and other contact with water. 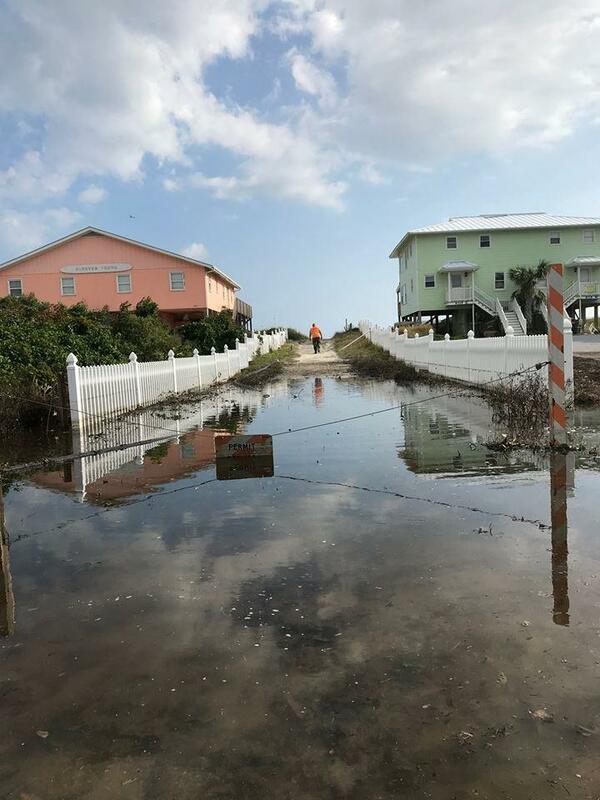 A press release from the North Carolian Division of Marine Fisheries said an advisory remains in effect for the public beach access just west of the junction of Coast Guard Road and Inlet Drive in Emerald Isle and for sound-side waters. 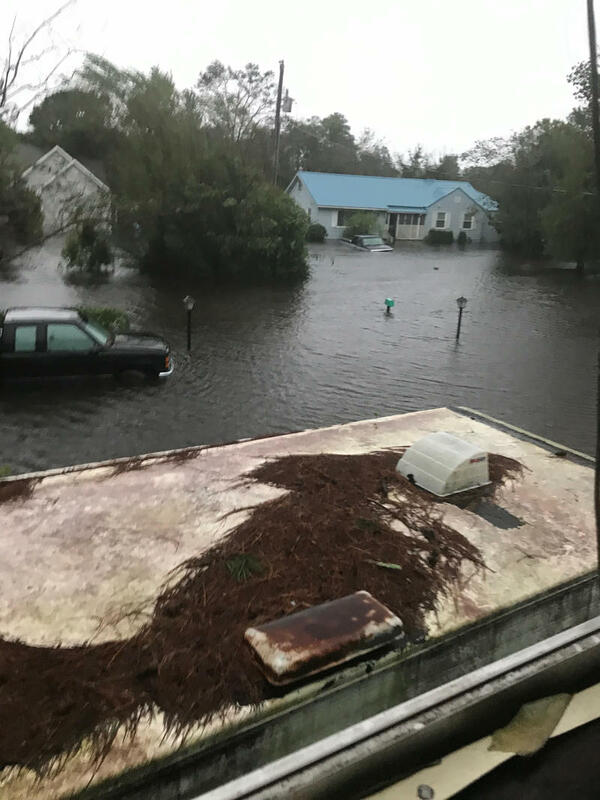 Carteret County was hit hard by Florence. Hurricane force winds knocked down power lines, toppled trees over on houses and blew the roofs and awnings off buildings. Now, nearly a week after the storm, thousands of residents are still without power. The American Red Cross and the North Carolina Baptist Men are partnering with a church in Havelock to provide hot meals to people who were affected by Hurricane Florence. Carteret County Emergency Management has set up 12 food and water distribution sites in areas hit hard by Hurricane Florence. Chief of Harkers Island Fire and Rescue Chad Mann says stores Down East haven’t been able to restock their shelves because delivery trucks aren’t able to get through. He says this site is the only place on Harkers Island where residents can get water, canned goods, toiletries, cleaning supplies, diapers and tarps. River Bend is a small and quiet community of about 3,100 people. 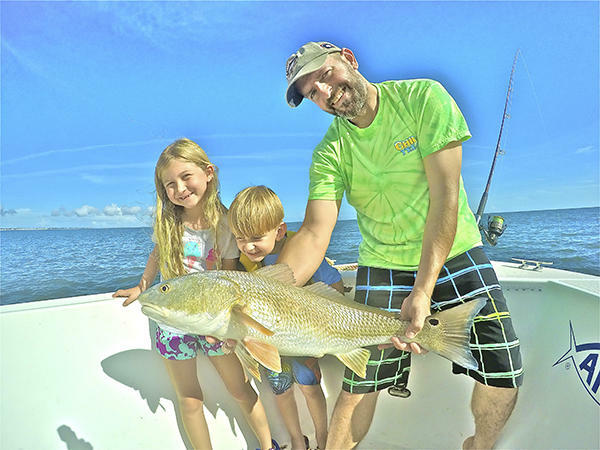 Many of the residents, mostly retirees, are attracted to the town because of easy access to waterfront along the Trent River and Plantation Canal. But that selling point is also the reason for such significant flooding and damages during last week’s Hurricane Florence. As storm conditions deteriorated late Thursday night, resident Andrew Schellinck was preparing to evacuate his condo at Harbour Walk Townhouses. Water from the Neuse River has receded along New Street in the historic section of downtown. Now, water logged furniture, insulation and debris line both sides of the road. For resident Rob Overman, it’s the worst flooding he’s seen since he moved to New Bern 30 years ago. 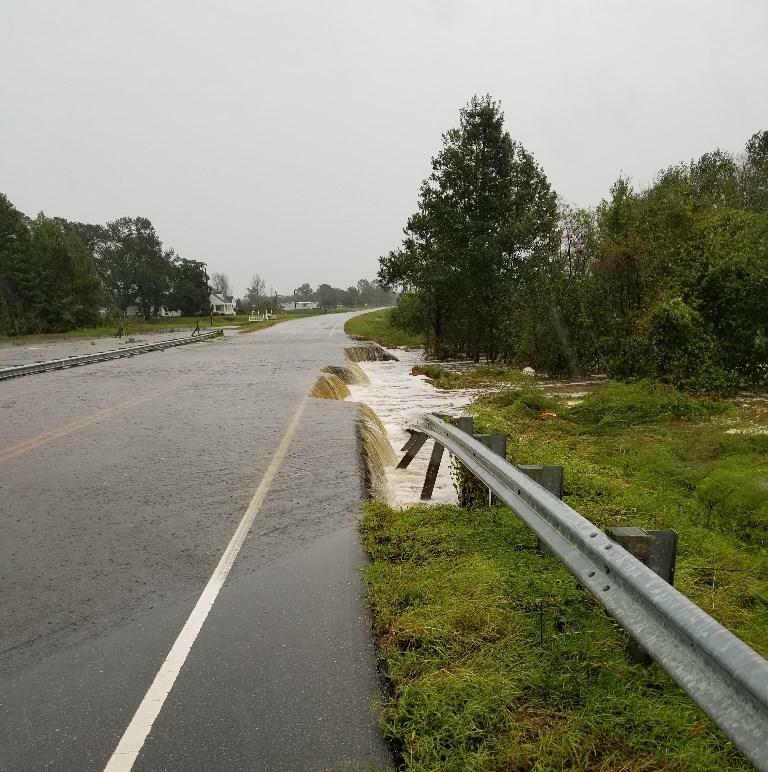 In the wake of Hurricane Florence, many roads and highways around Eastern North Carolina remain flooded and impassible. 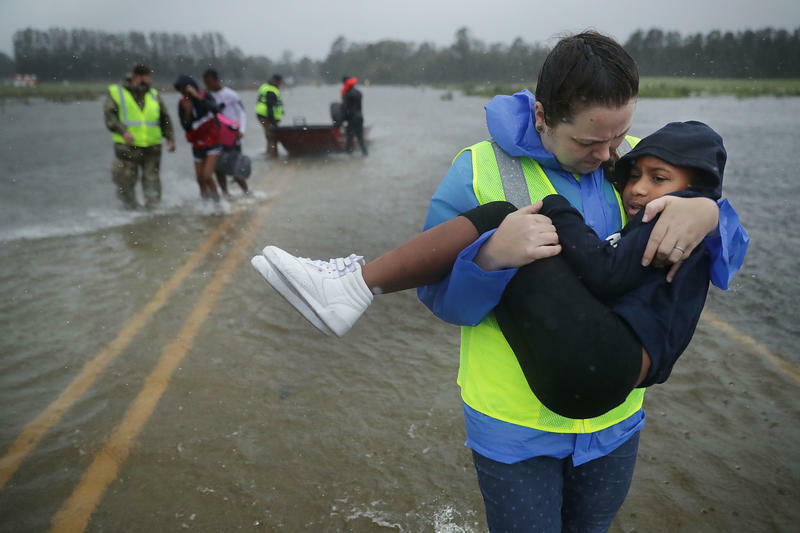 Those who evacuated before Hurricane Florence may have trouble returning home. Crews with Carteret-Craven Electric Co-op will begin clearing damages from Hurricane Florence this morning. Close to 150 line workers from Alabama, Tennessee and Virginia are joining 30 CCEC line workers, field technicians and other personnel. About 100 people are still waiting to be rescued from their homes in New Bern. Public Information Officer Colleen Roberts says three swift water rescue teams worked overnight to pull people from flooded homes and vehicles. She says 15 people were evacuated from the Bridgepoint Hotel due to rising waters. 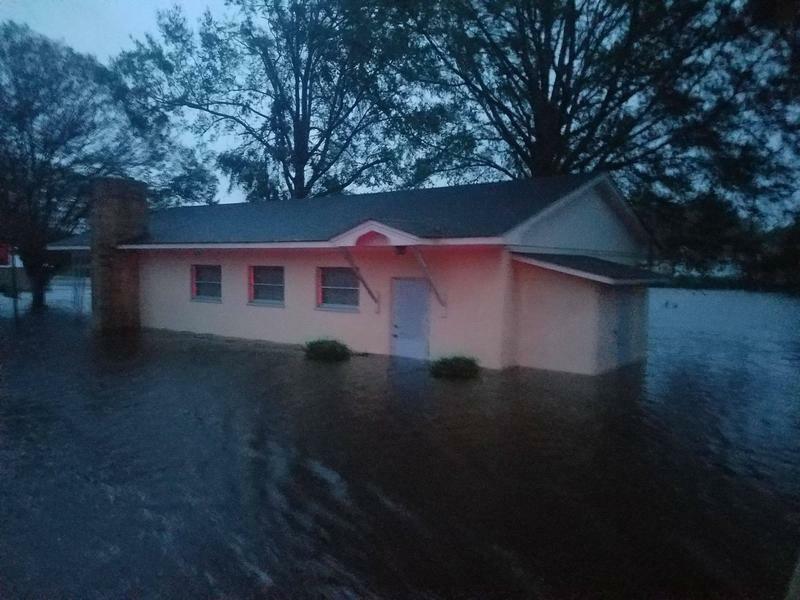 In Duplin County, Hurricane Florence is prompting several dozen calls to the Emergency Operations Center reporting damages. Sustained winds of 36 mph, with gust of over 50 mph. have knocked down several trees and power lines. Brandon McMahon is with Duplin County Emergency Services. McMahon says there’s been no reports of flooding so far. About 1,200 people are staying in four shelters across Duplin County. More than 100,000 people across Eastern North Carolina are without power due to Hurricane Florence. Swift water rescue teams are continuing to rescue people from their homes in Craven County. Widespread power outages are being reported in Carteret County. As of 1000pm, all 40,000 Carteret-Craven Electric Cooperative services were without power. Maximum wind speeds of 75 mph were recorded. Winds are expected to increase tonight to hurricane strength as Florence moves closer to land. Emergency Services Director Stephen Rae said they have suspended emergency response until conditions improve. 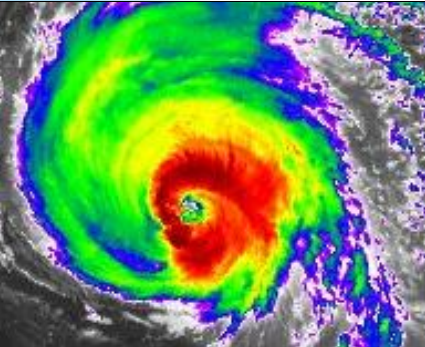 Equivalent Cat 1 Hurricane force winds of 70-90 mph with gusts to 110 mph are forecast for Jacksonville, Richlands and Topsail Beach until Saturday morning. More than two feet of rain could fall in those areas, causing extreme flooding. Storm surge of 9-13 feet along the New River and White Oak River will last through early Sunday afternoon. Pitt County held a press conference Tuesday morning to discuss Hurricane Florence preparedness and response from multiple organizations. The meeting included representatives from municipalities in Pitt County, emergency responders, transportation officials, law enforcement and disaster assistance organizations. Hurricane Florence is predicted to cause widespread, significant storm surge throughout parts of Eastern North Carolina. 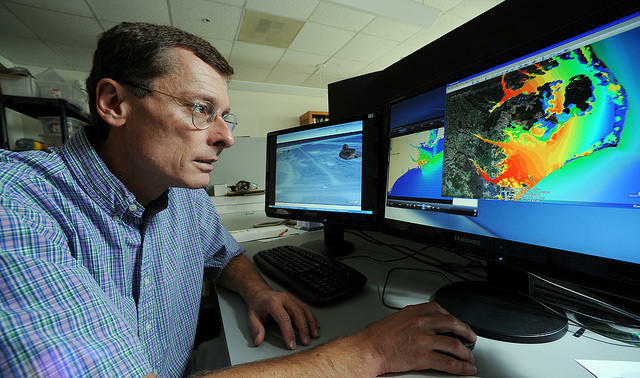 Director of the University of North Carolina's Institute of Marine Sciences in Morehead City Rick Luettick helped develop ADCIRC, a computer model for predicting storm surge and flooding. 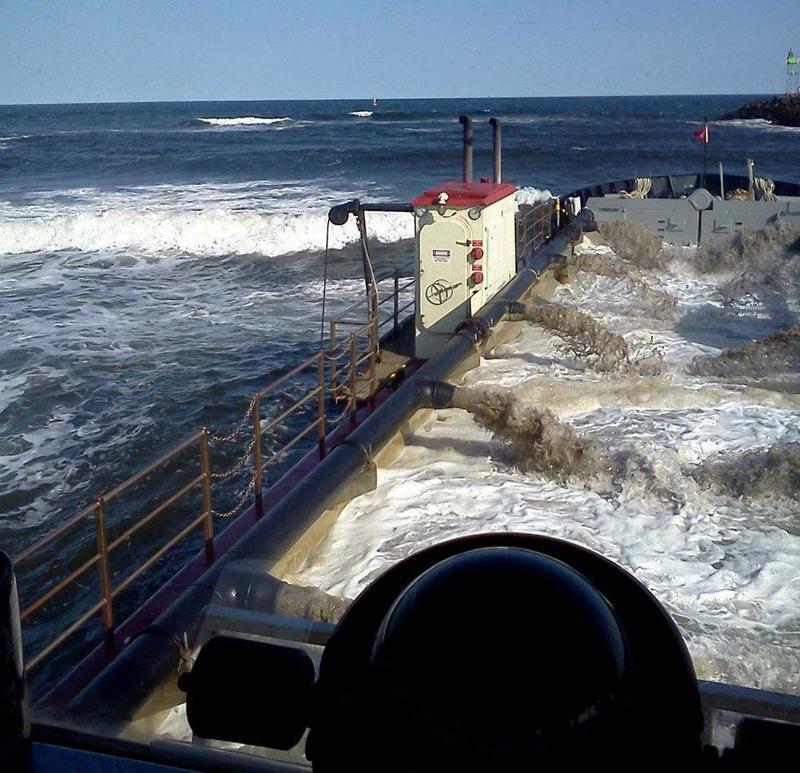 He estimated as much as 15 feet of storm surge could occur along beaches from Cape Fear to Cape Lookout. Our Montford Point Memories series continues with recollections from 92-year-old Robert S. Hammond. 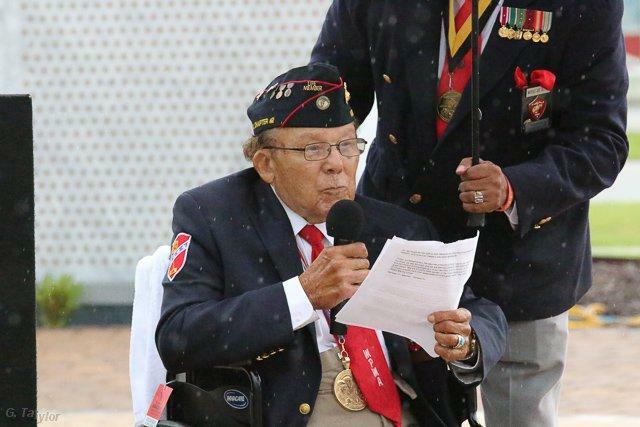 After enlisting in the Navy in 1943, Mr. Hammond was sent to Hospital Corps School and the U.S. Naval Hospital in Brooklyn, New York. After completing his training, Hammond became one of the first African American Navy Corpsman sent to Camp Montford Point. 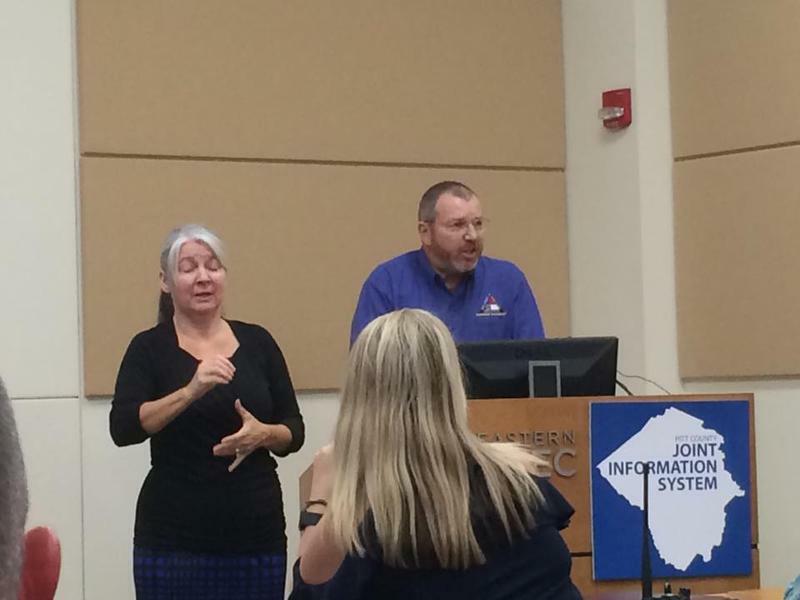 East Carolina University's Geriatric Workforce Enhancement Program recently recieved funding to expand their program to help senoir citizens in 41 North Carolina counties access health care. 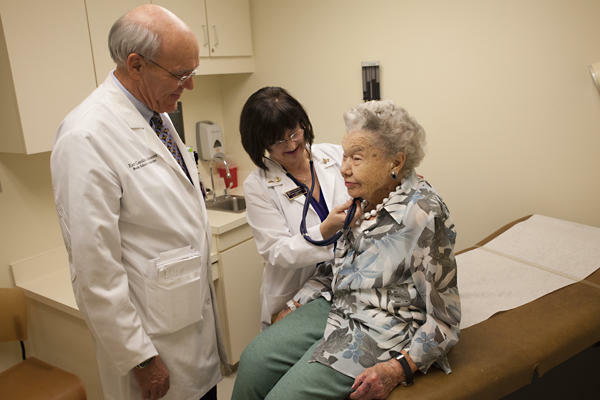 The program provides community-based education through health screenings and training for physicians and medical students who specifically treat elderly patients. We continue our PRE series, “Montford Point Memories,” honoring the legacy of the first African American Marines who were trained at Camp Montford Point in Jacksonville. Today, we hear from 93-year-old John R. Thompson who grew up in Kannapolis, North Carolina. He enlisted in the Marine Corps in 1943 following the attack on Pearl Harbor. 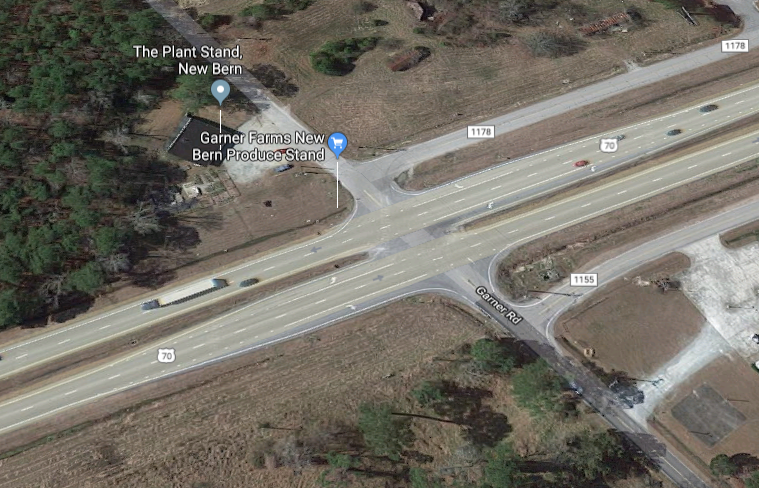 A tricky Craven County intersection along Highway 70 has been reworked by NCDOT. One current and two former Greenville police officers are suing city councilmember Kandi Smith for interference with their contracts of employment and obstruction of justice.